Special Report: Renew WV: Fracking? Pipelines? Or Solar? Who Is That Man in Khaki? 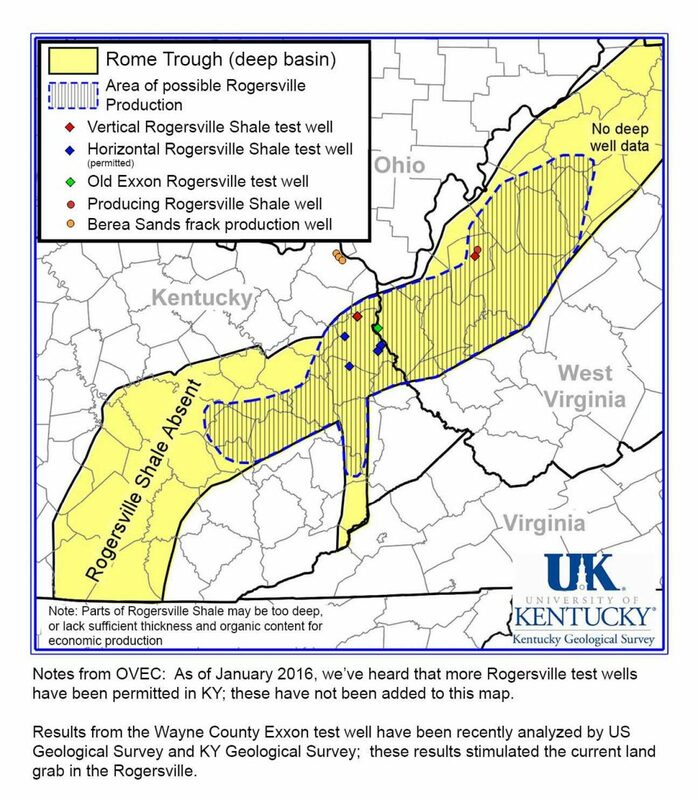 Rogersville Shale: Next for West Virginia? Exploding Bakken Crude: People Evacuated. Crude in River? How Much Crude Lost from the WV Oil Train Explosion? This list is not complete, it grows often! And numerous towns in more than two dozen states, including West Virginia! Citizens Allied for Integrity and Accountability Inc.
… and there are many more! Activities related to the “development” of deep shale oil and gas, often termed “fracking,” are wreaking havoc globally. In West Virginia, troubles in areas “developed” for Marcellus Shale include intense traffic problems including accidents and ruined roads; air, water and noise pollution and associated health problems from large-truck traffic, drilling and radioactive waste “disposal;” as well as the end of a rural way of life. Proposed large-scale pipelines that would move the extracted oil and gas threaten communities and some of our wildest lands. 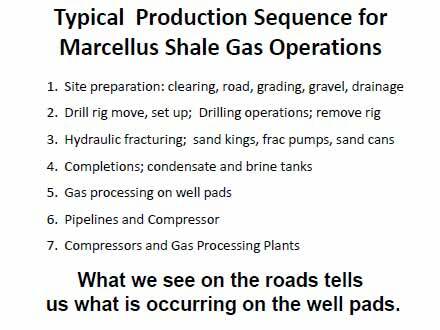 The Rogersville Shale could be the next shale — much deeper than the Marcellus — “developed” in our region. 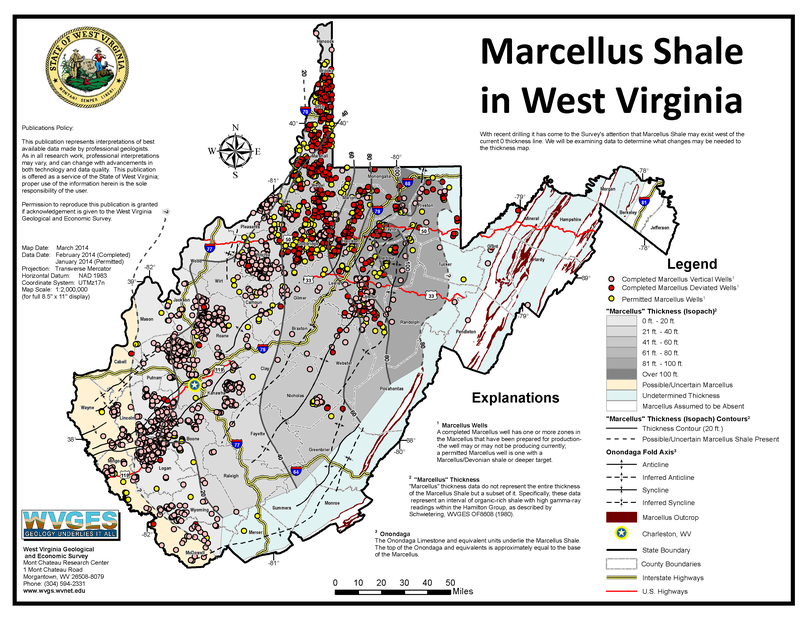 Use these pages to learn more about deep shale issues in WV and get involved with OVEC. Click here or on first slide below to view or download slideshow. OVEC’s Board of Directors’ Tour of WV Fracking Fields. Interviews featuring OVEC’s Executive Director Janet Keating and part-staff staff member Bill Hughes. 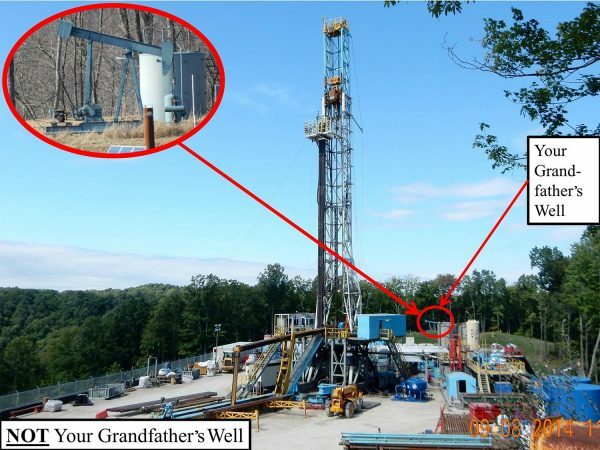 Frack Waste Injection Well Site in Fayette County, WV, a short film by Keely Kernan. The film is part of a series about resource extraction throughout West Virginia called “In the Hills and Hollows” and is sponsored by the Civil Society Institute and OVEC.